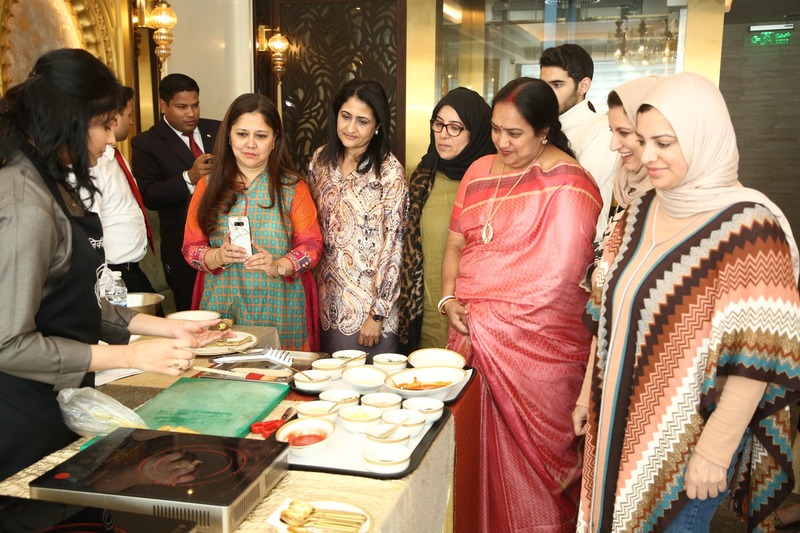 Mewar Restaurant in Galleria Mall hosted an exclusive ‘Curated Culinary Journey’ for guests, featuring the gourmet genius of Masterchef India winner (2015) Nikita Gandhi. Nikita holds the unbeaten record for being the youngest and only vegetarian winner of the popular TV cookery competition. 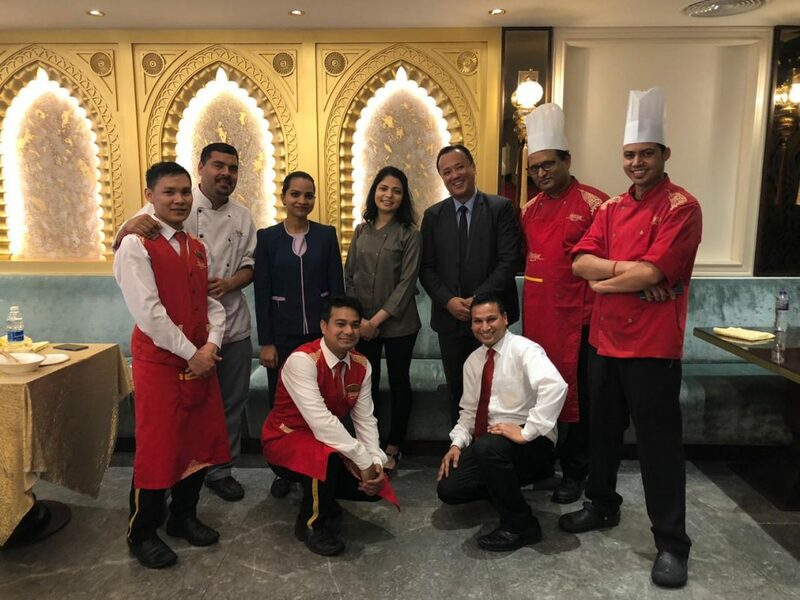 She conducted a MasterClass for Mewar’s special guests and, with the chefs of Mewar, presented a seven-course meal, complete with starter, main course, dessert and palate-cleansers and a contemporary take on Indian fusion cuisine from her signature recipe collection. The visit was arranged by Salaam Bahrain magazine. Seen here is the MEWAR team with MasterChef Nikita and a group of invitees getting a close-up look at her MasterClass demo.